Dot, whose name reflects her stature, has always had big dreams—but her dreams have to be put on hold while she searches for the truth about her parents. She gets a job as a seamstress at a lakeside resort in rural Ontario and falls hard for Eddie, a charming local boy who is equal parts helpful and distracting as Dot investigates her past. Searching for answers to questions about her birth, Dot learns more than she ever wanted to about the terrible effects of war, the legacy of deceit—and the enduring nature of love. 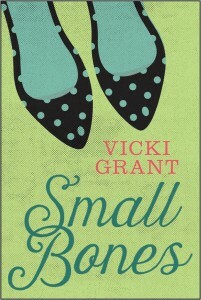 It’s 1964 and life is about to change for seven orphan girls. On their own for the first time in their lives, the girls each embark on journeys of discovery, aching for the families they never had and experiencing the world in ways they never imagined. Authors Kelley Armstrong, Norah McClintock, Vicki Grant, Marthe Jocelyn, Kathy Kacer, Teresa Toten and Eric Walters team up in this brand new series of linked YA novels. 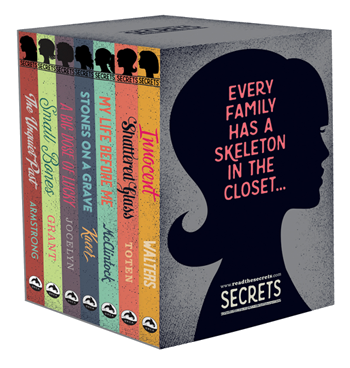 Look for Secrets at your book store in Fall 2015. If you can’t wait until then, click here for a sneak peak.